Electronic Equipment Applications TV, radio or phone receivers on automobile or ship, Car navigation system (GPS), Wiring inside telecommunications and electronic equipment such as portable phone. 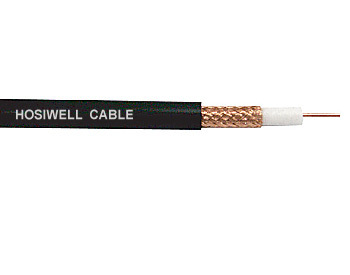 ข้อกำหนด คุณลักษณะของสินค้า (Specification): 50 & 75 Ohm PE Series Standard Construction: Solid or stranded, copper or copper covered steel conductor, PE insulation, bare copper braid shield 95% coverage. 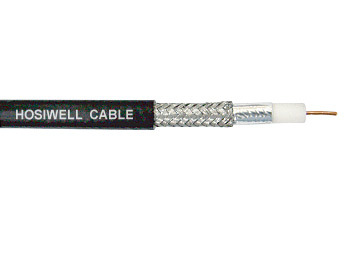 Product Description Conductor : No/mm (AWG) : 1/0.8 Mtrl. : BC Insulation : O.D. (mm. ): 2.7 Mtrl. : PE Shield : 95% BC Braid Jacket : O.D. (mm. ): 4.3 Mtrl. : PVC Nom. Capa. (Ω): 50 Nom. Capa. (pF/m. 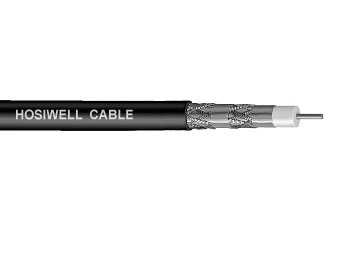 ): 100 Electronic Equipment Applications TV, radio or phone receivers on automobile or ship, Car navigation system (GPS), Wiring inside telecommunications and electronic equipment such as portable phone.